France is the most visited country in the world for good reason. But with as many sites as types of cheeses (and potential wine pairings) the only hard part about visiting France is deciding where to go. See Paris’ famous sights: Notre Dame Cathedral, Eiffel Tower, Arc de Triomphe and Louvre. 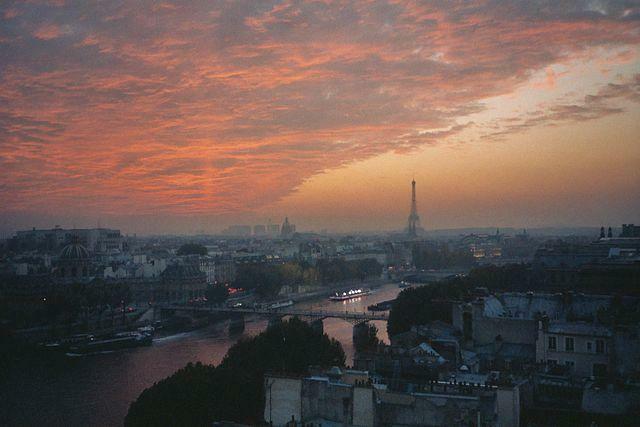 Fall in love in Paris. Or plan a romantic getaway with your loved one. Better yet, spend Valentine’s Day in Paris. Ski . Chamonix and Les Arcs are just two options for your winter vacation. Visit the Castles on the Loire Valley. Food, oh the French food. Not the French fries, but everything else. Crepes anyone? Plan to spend your honeymoon in Saint-Tropez. Shop. Better yet show up for the sales in June or July. Take a road trip in Provence. See Vieux Port in Marseille. Read: 7 Secrets About the South of France. Take a walking tour in Paris. In Paris, walk up to Basilique du Sacré-Coeur. Visit Étretat in Upper Normandy. Clermont-Ferrand offers hiking opportunities. And a creepy granite church. Sète is the place to try oysters. Or see a junk museum. Ushant/Ouessant is an island , way off the beaten path. Conques is the place with no cars allowed on the streets. Read: Slow Travel in the Loire Valley. If you are looking for cheap flights to France you are in luck. The prices vary from season to season but there are usually deals to be found on our BootsnAll's airfare finder. You may also want to consider looking into flights to neighboring countries where you might get a better deal. Since France is so close to just about everywhere in Europe sometimes it pays to fly in elsewhere and then hop on a train to the country. Our Eurail passes can help you save serious money on train travel in France and the rest of Europe. Read: Most Beautiful Villages to Visit in Provence. Since the country is so bloody popular, you are best served making reservations for hostels well in advance. Don't get shut out by waiting until the last minute. Rooms fill up quickly, especially during the summer months.